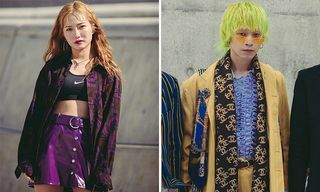 Key Looks: The sneakers at Seoul Fashion Week SS19 were brightly colored and varied in style. 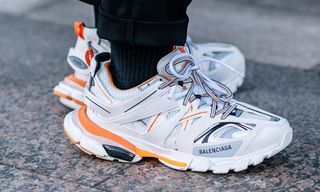 The city’s most fashionable wore everything from mainline adidas kicks to the super rare Li-Ning Wade Essence 2 ACE (slide #12). 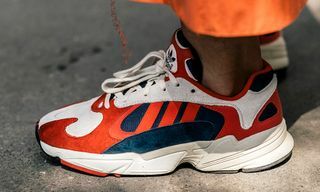 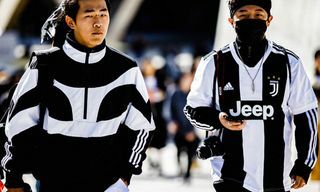 While the big sportswear brands usually dominate sneaker street style sets, Seoul followed in the footsteps of Shanghai by bringing us an eclectic mix of hyped and under-the-radar silhouettes. 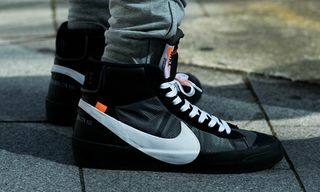 These included the OFF-WHITE x Nike “Halloween” Blazer (slide #15), Gucci’s hiking-inspired, bejeweled Flashtrek (slide #5), and the Umbro Bumpy (slide #7). 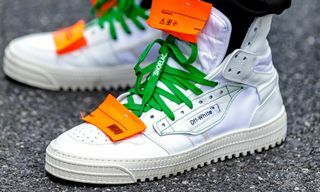 Other brands on show were YEEZY, Eytys, Balenciaga, Jordan Brand, and Supreme x Nike, to name a few.